There are 7 posts in this thread, and it has been viewed 7108 times. Hi. Welcome to Game of the Week! 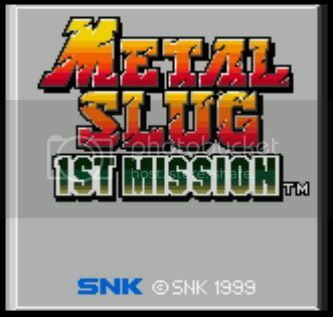 Metal Slug 1st Mission plays similarly to other Metal Slug games, but has toned down graphics for the Neo Geo Pocket Color hardware. 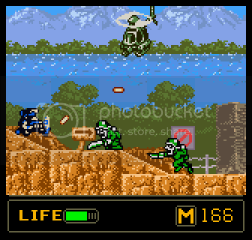 Notably, grenades are thrown by pressing the option button to switch, then fire. This was changed in the sequel. When the game is completed once, another character becomes playable. It is assumed that the playable characters are Marco and Fio, although this is never directly stated. It's really a shame I've never played this on NGPC. I could probably play it on emulator, but it just doesn't seem "right" to play a hand-held game on a computer. Wish there was more I could say. There is no option for ive never played it. 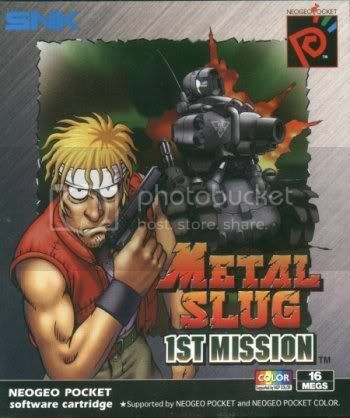 In 1st Mission there are indeed most elements from our known Metal Slug titles like the Handgun, Heavy Machinegun, Grenades, Rocket launcher, of course the Metal Slug and Slug Flyer itself and much more. But it still feels very different, as not all shooting phyisics are the same as familiar and as you need to change weapons quite often (Handgun<->Grenade) by pressing the option button I think. Speaking of the Slug Flyer, evertime you get in one of these comical" Harriers", you actually get transfered to a small classic Horizontal Shmup section, where you've to shoot everything lying in your way into pieces. The special thing about that is that everytime your Slug Flyer gets destroyed, you actually can jump off and save yourself with a parachute. If that's the case, another sequence opens where you need to open your parachute in time. 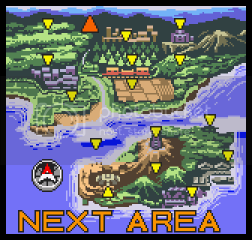 It's a bit like the last stage in Metal Slug Advance, if you guys remember it. But overall it's a really nice piece of handheld software which just got overcome by it's even better sequel. If you want to enjoy a little bit different Metal Slug for once, 1st Mission is definitely worth a play. 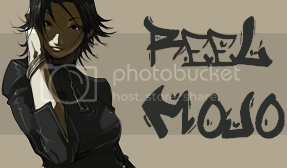 Before I bought a NGPC, this was not a title I liked the look of, I actually thought it looked average at best. But then after plaing it for a while I changed my mind completely and it became one of the first few NGPC games I bought! It's actually a very solid game, although the sequel is miles better. I still think the 2 NGPC slug games are better representations of the series than the other handheld versions later on (GBA for example). They may have looked prettier but didn't play as well imho. My experience is rather the opposite of Kaz's. I had high expectations for this game back in '99; the screenshots in the mags looked awesome. I was really hoping for a game that captured the arcade experience. Unfortunately, I never got to try it back then (the stores were always poorly stocked when it came to NGPC games). You were serious when you wanted to make a weekly game of the week! Well, i have Metal Slug 1st mission on my ngp and i really liked it. 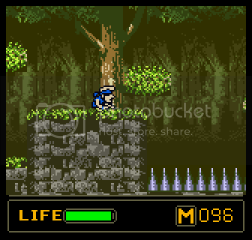 The lifebar is a good feature. I didn't play second mission... is it really better than 1st?